"For an authentic Roman holiday without the airfare, this undiscovered North Beach gem is worth seeking out." 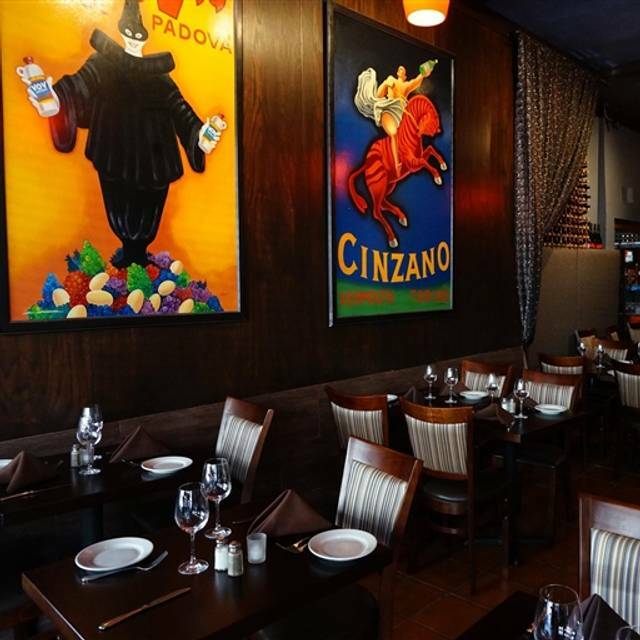 (Zagat)A bright, colorful Italian restaurant, Ideale is the modern version of a traditional Roman trattoria. It is "festive and boisterous...la vera cucina italiana. 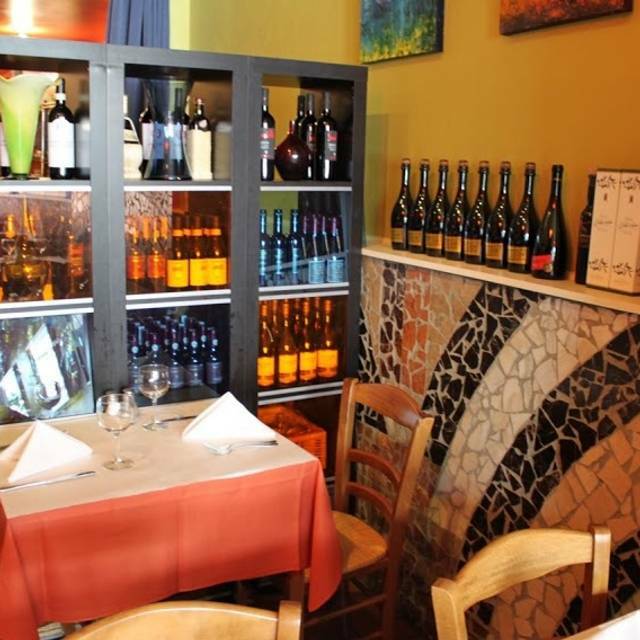 "Ideale has been bringing a slice of Rome to North Beach for over 20 years with it's highly acclaimed chef, Maurizio Bruschi. Maurizio hails from four generations of Roman chefs, lovingly taught by his grandma, la Nonna Serafina. 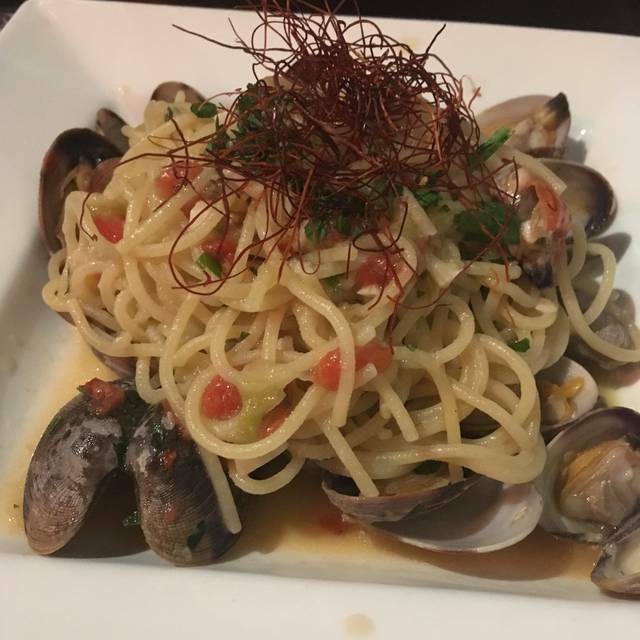 The pastas and breads are all homemade and the ingredients are hand-picked daily. 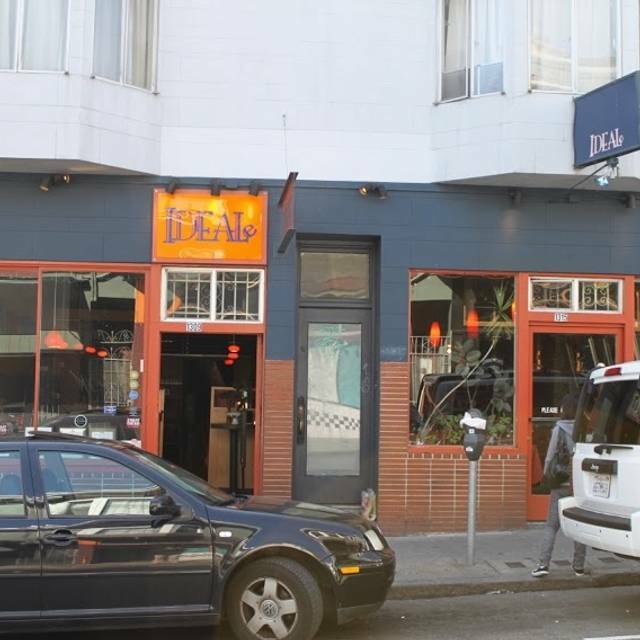 Zagat gave Ideale a 25 for food and wrote that the "Italian fare is the real deal...one of the few no tourist eateries in North Beach..excellent pasta and pizza..the service makes you feel like a friend..a delightful experience." 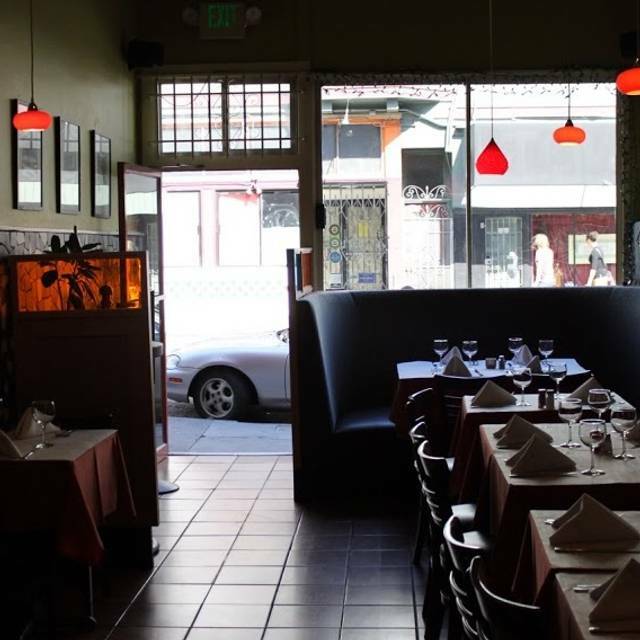 Ideale has won numerous awards, including being listed in Zagat's "Best Italian Restaurants in America" and The Chronicle's "Best Pasta in North Beach." We loved the Roman experience. It felt authentic since I've traveled several times to Rome. Outstanding experience. Our friend was visiting from NYC, and he loved the food here as much as we do! 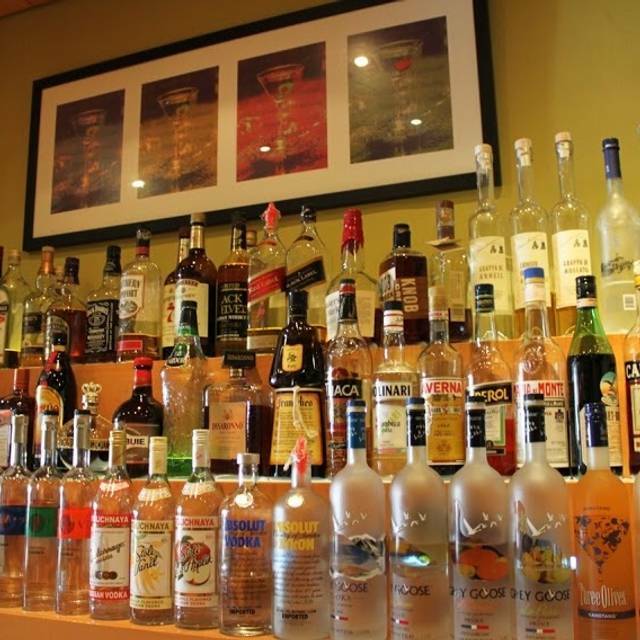 They have a full bar, loved our kids, and it was an overall relaxing and very enjoyable experience. The waiter told me about the zucchini parmesan replacement for the eggplant, and although I was hesitant, he was absolutely right. It IS better than the eggplant! Lovely pre show meal. Everyone really enjoyed the food and atmosphere. Had an early reservation before a show. Good crowd in restaurant. Greeting when we arrived was very friendly and warm. Found us a table and got us a glass of wine right away. Food was great and came out at a great pace. We had a noisy group next to us and they offered us another table if we would prefer less noise. Very warm and friendly staff. Looking forward to our next time. Very tasty dinner. I loved the fish soup. 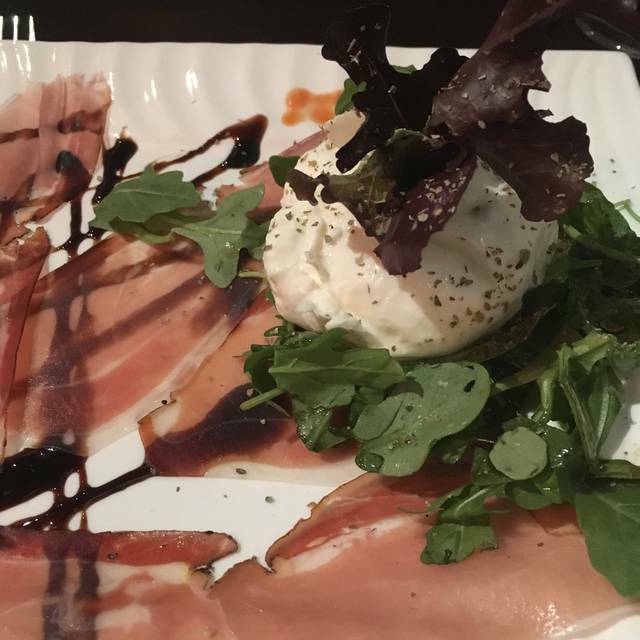 Always a great meal with authentic Italian food and service. Excellent table, service, drinks, food, and dessert. Especially enjoyed the pasta, procuitto and pear, and homemade desserts. We look forwardto our next visit. We enjoyed our dinner. When we first arrived, there was a large party next to us so it was difficult to have a conversation. After they left, the noise level was quite acceptable. The food was quite good and was exactly what we were looking for. They have the best grilled calamari, tasty pizza and excellent wine. The waiter and the host recognized us and greeted us warmly. The service was extremely efficient, friendly, and accommodating and food was excellently prepared. I had the zucchini appetizer, Caesar salad, and grigliato (assortment of grilled fish). The sauce and the salad dressing was perfect. The dessert (Baba rum.. Neapolitan rum cake) was absolutely and heavenly delicious. Loved this place and highly recommend it! Real authentic Italian food. Felt like I was the old world family. Perfect restaurant. Amazing wine selection! Wonderful food! Amazing food, superb service! Great experience. It was our first time there, and we'll be back. The food is fantastic and the service is extremely warm and helpful. I thought I knew all about Italian food, but they have many novel and authentic dishes that I am excited to try. I was last at Ideale about 18 years ago. We went back on our wedding weekend based on the memories I had. Ideale did not disappoint. Everything we had was excellent. The waitstaff is efficient and professional. The food remains as I remember it from our last visit. A definite return trip. Fine Italian, great service, intimate, and consistently so over years of dining here. The staff was very friendly and the food was delicious. Long wait to get seated on a Saturday night, despite having a reservation, but once we got seated the service was good. Food and drinks came out quickly, and food was good and fairly reasonably priced. Very good food and service in a warm atmosphere. The noise level was a bit high, although not out of the norm for contemporary restaurants. I hadn't been there in some time and was pleased to find the quality still very high. Delicious pasta. Very authentic and reasonably priced. It was a wonderful as always! They moved our table after we got water, which was annoying but they made it up by being very attentive afterwards. 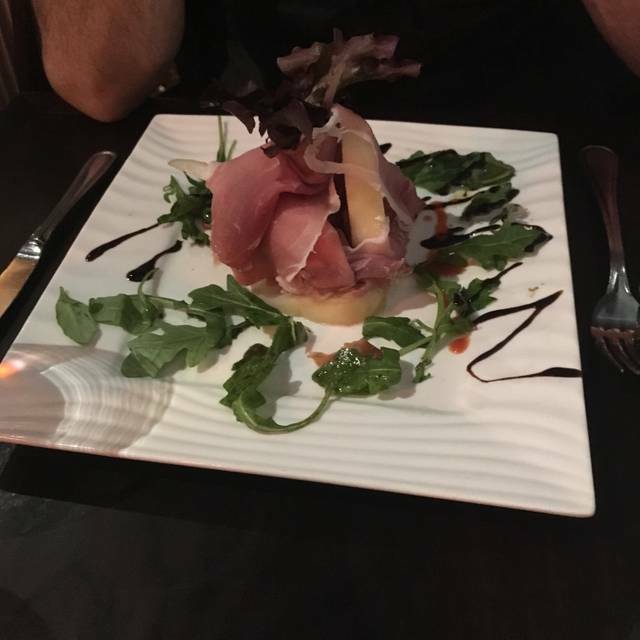 The pear and prosciutto was very good. The cacio e Pepe with truffles was amazing. Small sizes, great for me not so great for the big men I was with. Tiramisu was very light, yummy! Great authentic Italian cuisine. Unfortunately, our server/waiter didn't check on us after food was delivered and also kept us waiting a long time when we were trying to pay the bill. Recommend if you're not in a rush. we have loved your restaurant for years. don't change a thing! The best old school italain food restaurant in North Beach that nobody talks about...which is fine by me. The service is excellent and the pasta delicious. The service was rushed, apperatives appetizers and main course all arrived at the same time. We absolutely LOVE this place. We spent a month in Italy this past year and we felt like we were back there having dinner. Such a unique spot and food is out of this world. 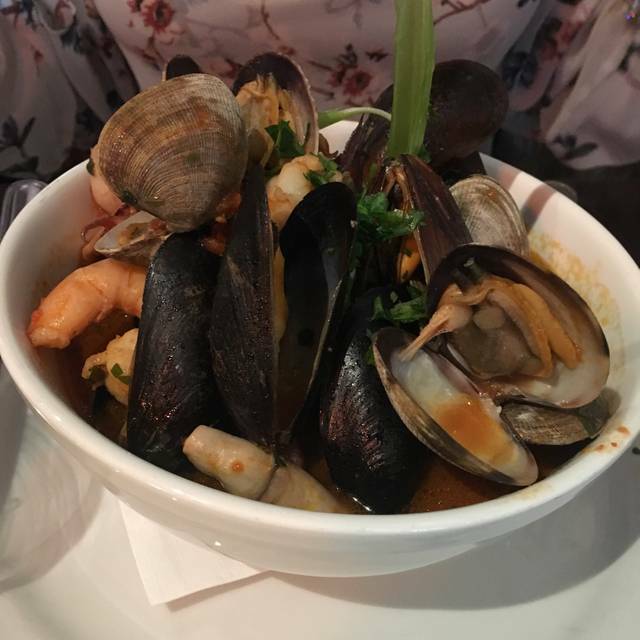 wonderful Italian place in North Beach, with the most delicious cioppino and pasta carbonara. very attentive service and makes you feel as though you're in Roma eating. What more could one ask for on a cold rainy night in San Francisco but a delightful and fulfilling evening at Cafe Ideale. The food, the wine, the service cannot be beaten - a little bit of Italy right here in our own back yard. We had an awesome server and the food was delicious. It was a very clean and nice hidden gem in the city. I have eaten in this restaurant many time, it never disappoints. Food is always fresh, well prepared and presented. Noise level isn't bad but can it can be hard to hear sometimes. It won't keep me away. Excellent food! Great Service. Quiet good for conversations! Definitely recommend! Amazing food as always. This place NEVER disappoints. Our favorite restaurant in all of SF. Possibly the best pasta of my life! The papardelle with lamb ragu was mind blowing.